Masculinities and Desire considers the question of male subjectivity in relation to Deleuze and Guattari’s theory of desire. Western tradition has thought of desire from the vantage point of masculine subjectivity; what happens when the order is reversed, and desire speaks through masculinity? Can masculinity be conceived beyond the gender binary and thus affirm its potential to transcend the patriarchal order? In answer, Masculinities and Desire calls for a radically new approach to traditional cultural criticism. Contributing a critical male perspective, the book sheds new light on the conceptual and ethical limits of established, representational (gender) criticism. 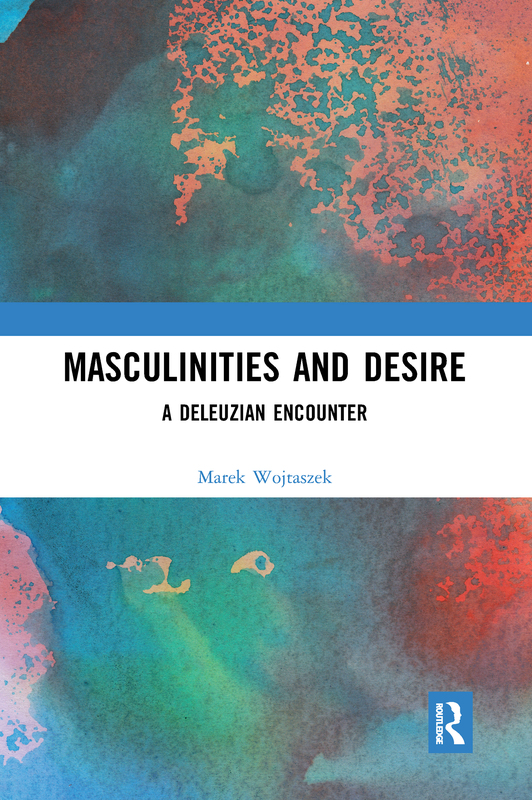 Reflecting on masculinity with Deleuze, the book explores what happens to the masculine subject in his becoming-minoritarian and thus emerging as a work of desire. Wojtaszek examines the confining representations of masculinity in realms long associated with men, such as violence, virulent psychosis, metaphysical cannibalism and virtualization. Inspired by Deleuze’s appeal for immanence, Wojtaszek argues that films including American Psycho, Fight Club, Becoming John Malkovich and The Matrix are adventures of deterritorialization that imaginatively tackle various masculinities, affirming their creative resistance and reinvention of subjectivity. Desire is revealed to be a powerful catalyst for escaping the regime of patriarchal representation.